Réalisateur, scénariste et producteur Haitien-Américain. Jerry LaMothe is a Haitian-American writer, director, and producer from East Flatbush, Brooklyn. In 2000, he founded Tru Life Films and released his debut award winning film Amour Infinity, which he wrote, directed, and starred in; the film is regarded by many as an underground cult classic. He has since gone on to build a distinctive body of work, which includes Blackout, Nora's Hair Salon, and The Tombs. LaMothe's directorial debut, Amour Infinity, won numerous film festivals in 2001, including the Atlanta Independent Film Festival, the Jamerican Film Festival, and the Hollywood Black Film Festival. In 2007, Lamothe wrote, directed, and produced the independent film, Blackout. The film boasted an impressive cast of Jeffrey Wright, Zoe Saldana, Saul Rubinek, Jamie Hector, Latanya Richardson-Jackson, Turron Kofi Alleyne, Michael B. Jordan, and film maverick, Melvin Van Peebles. 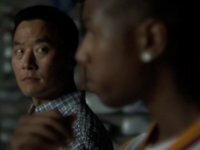 Blackout premiered and was an official selection at the 2007 Tribeca Film Festival, and the film also appeared at the Chicago International film festival, the Zurich International Film Festival and Urbanworld, where LaMothe received the "Director's spotlight" award. LaMothe has directed many talented actors, including Jenifer Lewis, Tatayana Ali, Tamala Jones, Lil' Kim, and the late Whitney Houston. In 2012, his short film, The Tombs, was released screened, enjoying a successful film festival circuit run in the states and abroad, showing at the Flickers Rhode Island International Film Festival, Raindance Film Festival in London, the Act Now/New Voices at BAM, the Atlanta Film Festival, the Langston Hughes African American Film Festival, the Pan African Film Festival, and several others. The Tombs was also nominated for a 2012 Black Reel Award for Best Independent short film. The story follows a Brooklyn man's three-day journey through New York's central booking jail system, infamously known as "The Tombs," and his encounters with interesting personalities while locked up. In March 2012, it was announced that LaMothe is an ABC/DGA directing program finalist for the 2012-2014 season and this year's recipient of The Newark Museum's Paul Robeson Award for Best Short film, presented by the Newark Black Film Festival and Bank of America. He is currently developing his upcoming feature film project, The Promise Keeper. The Promise Keeper is a drama about two childhood friends from Flatbush, Brooklyn, that spans over two decades and shows the different directions they each take in life. When one gets deported to Haiti, the other takes his first visit to the island only months after the earthquake that devastated the country. Award winning Writer, Director, Producer Jerry LaMothe recently visited his home of Haiti by invitation of the CINE INSTITUTE OF HAITI and to prepare for his latest upcoming feature film, THE PROMISE KEEPER. Check out the update above and spread the word! The Promise Keeper is coming!